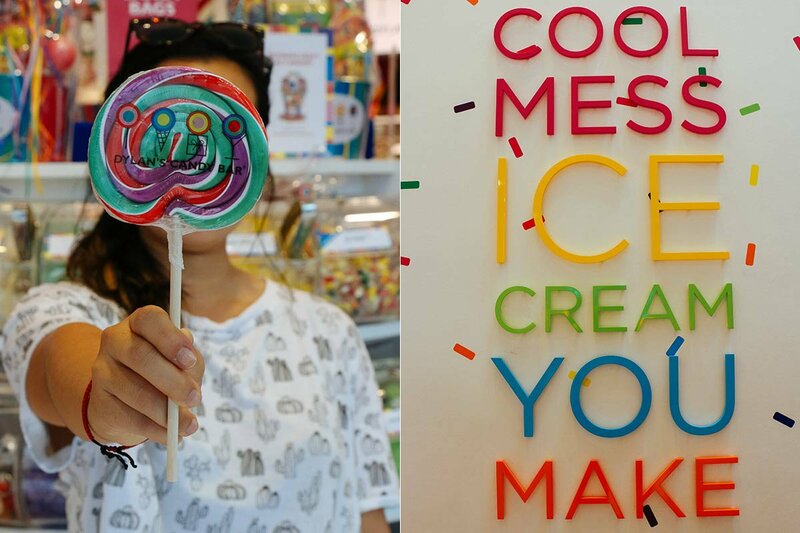 Sweet treats for kids at Dylan's Candy Bar and Cool Mess. All photos by Madison Cuthbertson. School is nearly out for summer. What do city kids do on their break? Armed with her camera, Fathom summer intern Madison Cuthbertson adventured around the city, scoping out the scenes where kids roam (relatively) free. NEW YORK CITY – I have always been the girl who carries her camera everywhere, and I've always been the spontaneous one in the group, up for taking chances and getting lost for the sake of adventure. One warm and sunny day this spring, I set out with my Canon 70D and an assignment from Fathom: Visit the places in Manhattan where you can feel like a kid, and make an adventure out of it. The child inside me knew exactly where to begin. 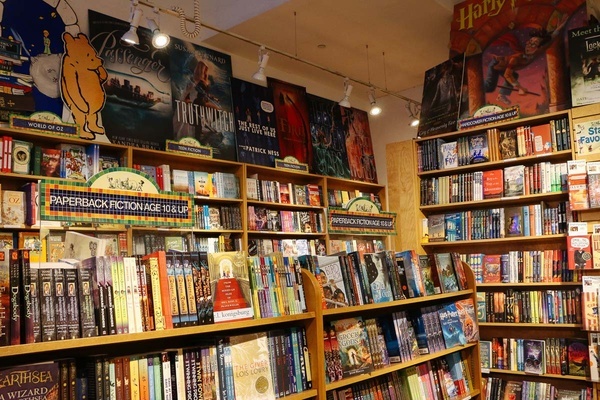 My co-intern and I started at Books of Wonder, a quaint bookshop in the Village where, as a child, I spent hours curled up with my favorite hardcovers. It was as cozy and comforting as I remember it — benches on which to perch and read, a small café on the side, and shelves upon shelves of a wide range of children's literature. The people at Books of Wonder interact with tons of kids on a daily basis — so we asked them where we should go next. The employees directed us to Kidding Around, a small toy store down the street with every kind of toy imagineable (and even some you couldn't dream up if you tried). We roamed through aisles packed with miniature animals, dress-up clothes, and build-it-yourself sets. As a person who likes order, the store was a bit too chaotic for my brain to handle. However, I can imagine how enjoyable it might be for a young tot with a short attention span. Books of Wonder in the Village. Photo by Madison Cuthbertson. 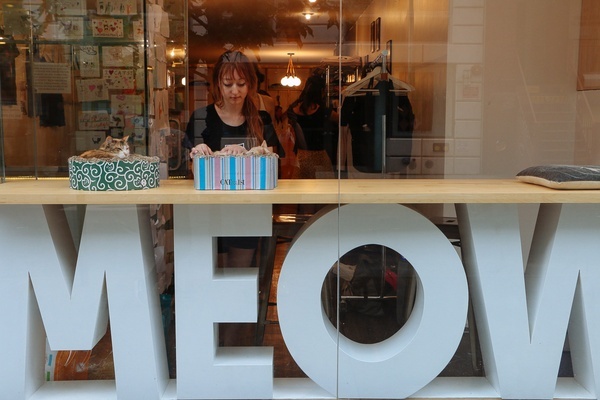 From there, we were directed downtown to a chill spot unlike the rest: Meow Parlour. At this café and yoga studio, cats roam free. The shop offers yoga classes, sweet treats at the patisserie, and children's hours for a little relaxation in the company of a feline friend. As we didn't register in advance, we weren't given access to enter; we could only gaze longingly at the fluffy creatures on the other side of the glass. In order to enter the land of furballs, you must sign up for a yoga class or reserve a time to relax with the kitties. Meow Parlour in Chinatown. Photo by Madison Cuthbertson. In the mood for a kid-friendly snack, we made our way to an ice cream shop recommended by the staff at the cat café. Cool Mess is anything but a regular old ice cream shop. The Upper East Side space is a hustling, bustling ice cream lab where people of all ages craft their own flavor creations like the classic Banana Splitsville. They supply the ingredients (a base of chocolate or vanilla ice cream and dozens of toppings) and tools; you build the dessert of your dreams, from sundaes to milkshakes to wild cake and cookie combos. I guess it's no surprise that the manager of Cool Mess pointed us in the direction of the enormously popular candy shop up the street. At Dylan's Candy Bar, we were swept into a real-life version of Willy Wonka's chocolate factory. We taste-tested samples at the fudge bar and gawked at the color-coordinated wall of candies. As it started to rain, we cut our adventure short. Kidding Around toy store. Photo by Madison Cuthbertson. The next day, we wrapped up our journey with two outdoor locations — great spots for kids to work out their energy and get a bit of fresh air. 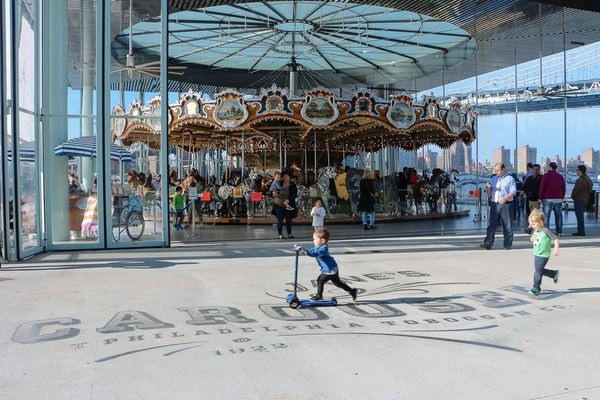 In Brooklyn, Jane's Carousel and Pier 6 are the perfect places to play right along the East River. 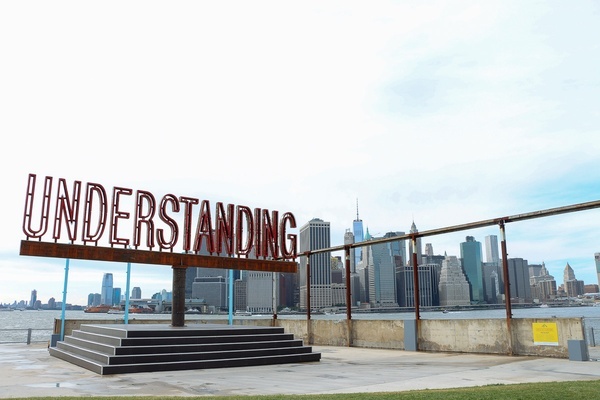 On Pier 6, you can admire the view of Manhattan or interpret the meaning of Martin Creed's public art piece, Understanding, while the kids run around on one of the playgrounds or play volleyball in the sand courts. Further north on the pier, the kids can take a spin on Jane's Carousel for only $2 (and kids under 3 ride free). Even without kids, we wanted to ride this nearly one-hundred-year-old carousel just for the fun of it. Pier 6 in Brooklyn. Photo by Madison Cuthbertson. Jane's Carousel in Brooklyn. Photo by Madison Cuthbertson. These are only a few of the many great places to take your kids on an urban adventure this summer. 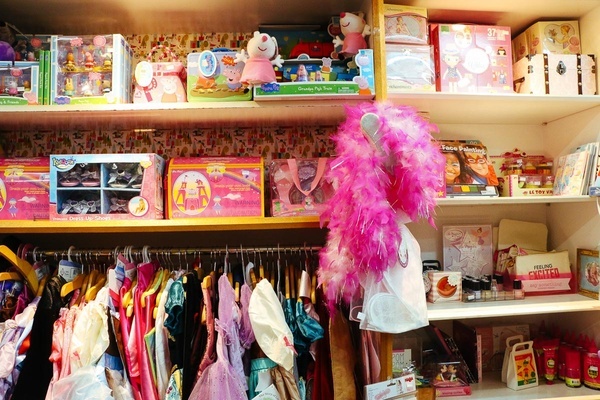 Let us know about your favorite New York City spots for kiddos. Hey Kids, Let's Go to L.A.